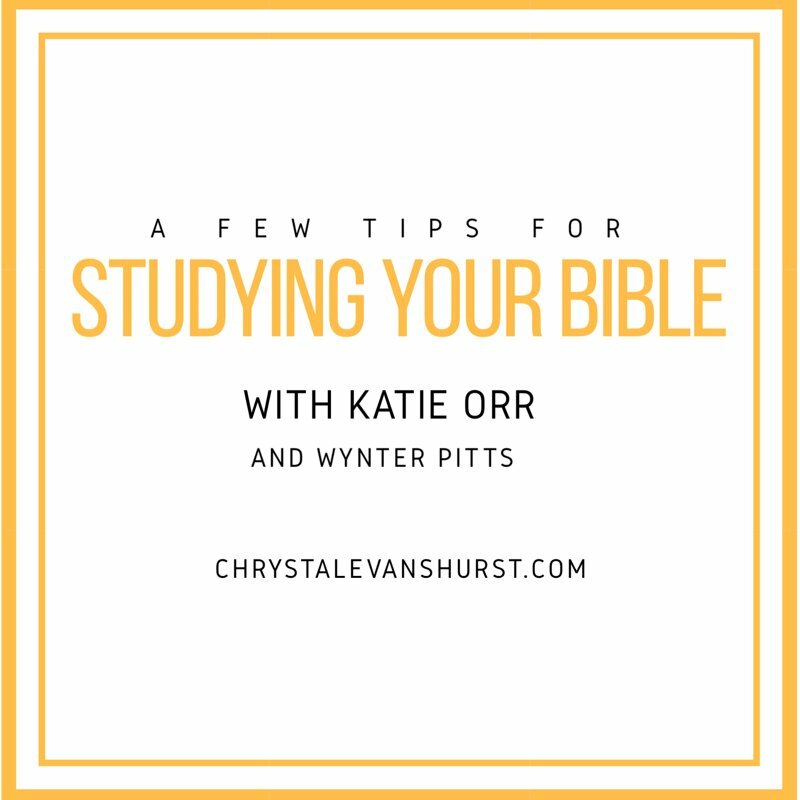 On today’s podcast, I’m joined with my cousin Wynter Pitts as we chat with Katie Orr. Katie is a mom of three and a pastor’s wife. She has a passion for studying God’s Word and helping others to do the same. So it only makes sense that studying God’s word is exactly what we are talking about today! Through His Word, God has laid a path for you to get to His heart. But often we make that path more difficult than it needs to be. We stress about whether we are doing it right, doing it long enough, or simply knowing where to start. Today we want to encourage you by helping to take the pressure off. Do you have 15 minutes a day? 10 minutes? or even 5 minutes? It’s better to spend 5 minutes a day with God than no time at all. Your quiet time or Bible study may not look exactly like mine, Katie’s or Wynter’s. The good news is that it doesn’t need to. Your study of God’s Word should be a time that brings you closer to God and helps you better understand his thoughts towards you, for your life, and about the world in which we live. And it’s okay if you start where you are. Take the pressure off and just get going… even if it’s just 15 minutes at a time. Do you struggle studying the Bible? What are you favorite Bible study methods or resources? I just listened to th Focus 15 Bible Study Tips. Thank you so much! I have for years struggled on how to read the Bible and where do I start. I like that Katie said ask good questions, What is true about God, about Jesus, and me. I have not done that. I have asked what is the verse saying to me. But, having difficulty with that. I tend to read fast and not always take in what I read. I have the Jesus Calling book, which I love. It was given to me by a very dear friend in 2012. This is the 4th year I have read it daily. Just in the past month, that I felt God nudge me and reading not only the verses at the bottom of each page, but to read the surrounding verses. Amazing, a much clearer picture. When I saw this subject matter in my email, I knew I was to listen to this podcast. I will not be in such a hurry, and feel it is something I have to do daily. I want to read God’s word, but also understand what he is saying to me. This podcast was amazing and so helpful! God Bless You Chrystal for providing this information. Hi, Sandra! Context is so key! It’s one thing to read a devotional (helpful, succinct, and quick), but so rewarding when you get to dig into the Word for yourself! I’m excited to hear how God is drawing you into His Word. Lorine, I’m so glad it was a blessing to you!! Thank you so much for this podcast. I have been a Christian for many years and have always struggled with feeling like I am doing my quiet time and bible study the “right” way. Since I am a perfectionist I feel like if I am not doing it the way I am supposed to then I shouldn’t do it at all. The tips mentioned here by all three women are so helpful and a great reminder that we don’t have to feel pressured. 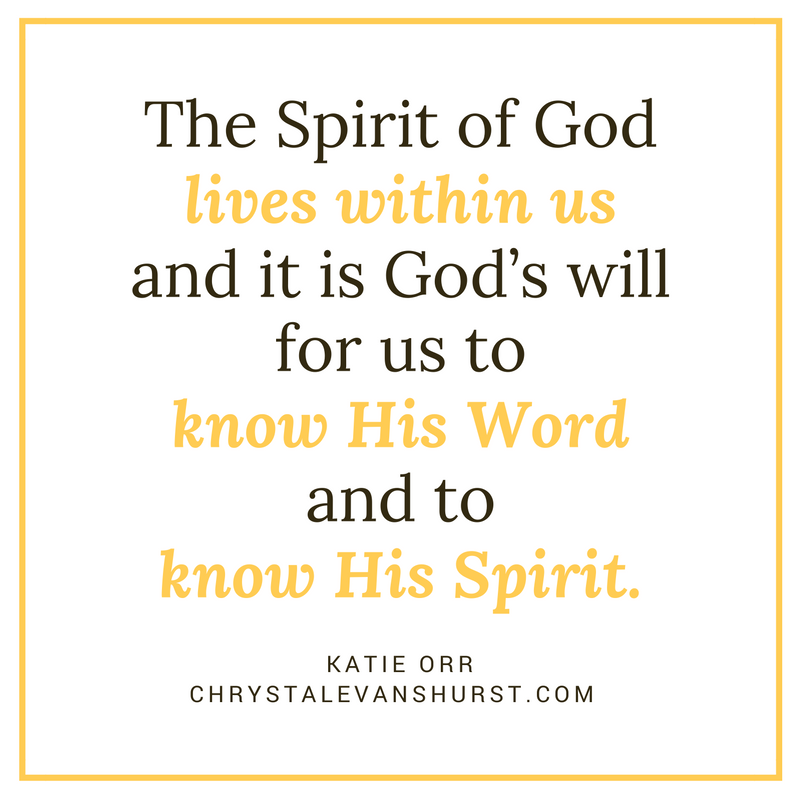 God wants us to come to him and study his word so we can get to know him. Consistency is the key. I love how down to earth Chrystal is…she is so real and because of that it makes you want to listen to what she has to say. Thank you so much for this. Many of us do struggle. I’m happy to know you were encouraged. Blessings to you! This was amazing, Chrystal. Especially, your closing comments. That my father planned these words for thousands of years to make a path for me – touched me hear. And your exhortation to go use my Bible already. Thank you! Thanks so much for listening Carolyn! I just finished listening to how to read the bible and it was just what I needed. I am a morning person more than less, but if my house isn’t cleaned before I start to read the bible, I can’t concentrate. So, after listening to podcast about taking the pressure off and find what works for me, I feel much better. I think I took the verse seek me early in the morning out of content, and I thought that was when I needed to spend time with God. Thanks so much for the answer that I have been seeking. I was definitely trying to hard.